Council President Darrell Clarke has a big idea — but he’s small on details. 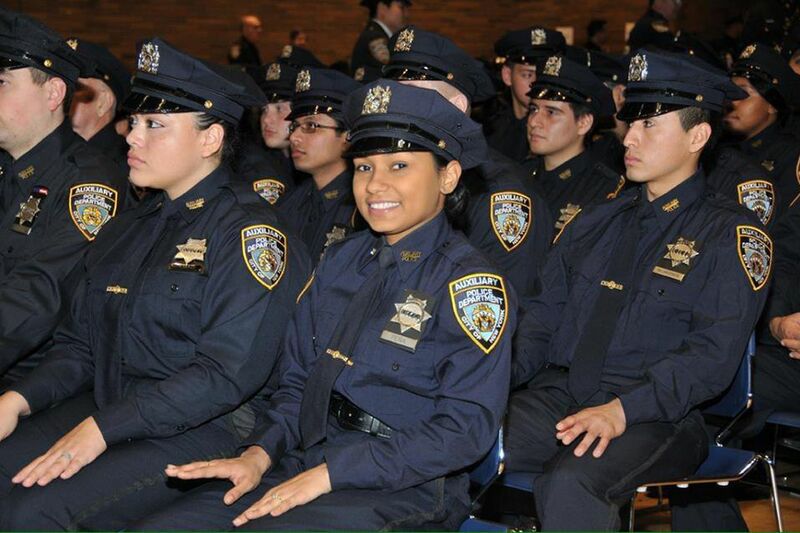 New York City Police Department auxiliary officers are shown at a graduation ceremony after training. As someone who has complained about the city’s lack of enforcement for mostly vehicular violations, I’m intrigued by Council President Darrell Clarke’s bill to create a force of Public Safety Enforcement Officers. It would require a change to the City Charter that voters would have to approve on the May 21 Philadelphia primary ballot. But there’s a problem: a criminal lack of details. To get an idea of what it might look like, look north: New York City has an all-volunteer 4,500-person auxiliary police force that reports to its police department. Volunteers write tickets and make arrests. They carry batons but not guns. They are not police officers but are considered city employees. I know more about New York than Philly on this issue because King Clarke has ignored my requests for an interview. But I have to call his proposed force something, and Public Safety Enforcement Officers is a mouthful, so I’m going to call it the Faux Police Force. How many Faux EnForcers would be hired? Where would they be deployed? Would they report to police or a civilian body? As salaried employees, how much would they be paid? What laws would they enforce? From previous stories, we get a hint of what’s bubbling in King Clarke’s brain, but none of that is official. The King’s bill mentions “quality of life” issues — I take that to include speeding, sidewalk safety, red-light-running, right-of-way — and I would want the Faux Police Force to focus on those, in addition to traffic logjams. Some causes of our traffic nightmare mentioned in September by my colleague Jason Laughlin are population gain, which is minor; ride-sharing services, which are major; plus the explosion of trucks making deliveries both to local businesses and homes. Overlooked in the story are bicycle lanes, which obviously increase congestion on Pine and Spruce, and cross streets. The envisioned role of the Faux Police Force would be to unsnarl traffic. But couldn’t that be done by expanding the jurisdiction of the existing Philadelphia Parking Authority? Why invent a new wheel when you already have one? Nothing against cops either, but the data show police enforcement has fallen off a cliff in recent years. Let’s start with the most dangerous — automobiles. Cops wrote 150,444 moving-violation tickets in 2011 and 97,216 in 2018. That’s a drop of more than one-third. Why? Have Philadelphians greatly improved their driving skills? More likely, cops are dogging it. Let’s not pretend, as police spokespeople sometimes do, that the cops are too busy investigating rapes, burglaries, and murders. That’s not what beat cops do. If they are lax, it’s because commanders don’t make enforcement a priority. Bicyclists receive glaring non-enforcement: In 2011, cops issued 80 tickets to bicyclists, but that number dropped 46 percent to 43 in 2018. Pedestrians received 373 tickets in 2011, but 310 in 2018, a decline of 16 percent. King Clarke and Mayor Jim Kenney say they want safer streets, but they should put enforcement where their mouths are. Ask pedestrians and they’ll tell you cars often don’t yield to them and the streets are filled with wild bicyclists violating traffic laws with impunity. If some Faux Police Force would reduce that, I’d probably be for it — but first I want to know how much it’s going to cost and that the jobs won’t go to relatives of insiders.